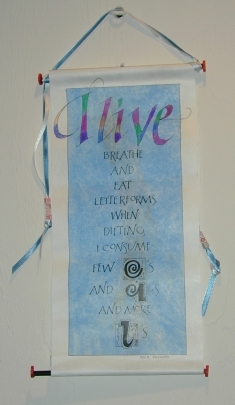 Tyvek was used to make the scroll, The background was dyed with acrylics, using a wet cosmetic sponge. A fixative was applied and the lettering was done with Best Bottle Ink. The colors in the large letters were done with Zig brush markers.